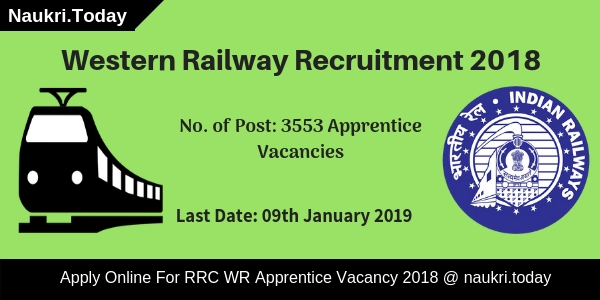 Western Railway Recruitment 2018-19 Notification – Railway Recruitment Cell, Mumbai has recently released advertisement for recruitment of 3553 Apprentice vacancies. Those candidates are interested and eligible for RRC WR Vacancy may apply through online mode. Candidates can start to fill up the online form from 10th December 2018. However, the last date of submission Western Railway Jobs online form is 09th January 2019. Furthermore, they can collect from below paragraph and directly apply online to click on below link. RRC WR Railway is inviting online application form for filling up 3553 vacancies. This is a great opportunity for candidates those are searching railway jobs. Therefore, applicants those want to apply for Western Railway Vacancy may fill online form from 10.12.2018 to 09.01.2019. Moreover, information such as eligibility criteria, selection process, application fees and how to apply for RRC WR Recruitment details is mention on below segment. Applicants must read full article carefully for full information of WR Railway Jobs 2018-19. 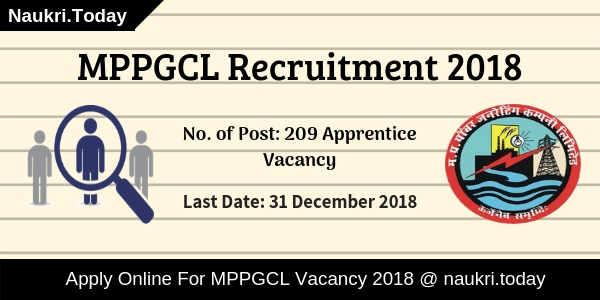 Fresh Update as on 19 December 2018: Western Railway Department has issued notification for filling up 3553 Apprentice Posts. Candidates may collect qualification, age, and application fee for Western Railway Recruitment 2018. The Last date for Online registration is 09th January 2019. How Can I Check Application Fee, Monthly Salary & Selection Criteria For Western Railway Jobs 2017 – 18 ? Contenders those wish to apply for WR Railway Recruitment 2018-19 must ensure that they are eligible or not. Eligibility conditions include details of education qualification, age limit and other parameters. Applicants must fulfill given below eligibility criteria for Western Railway Recruitment 2018-19. Candidates should passed 10th or equivalent examination in 10+2 examination scheme with minimum 50% marks from recognized board. For Western Railway Apprentice Jobs aspirants also have ITI certificate affiliated to NCVT/SCVT in relevant trade. Furthermore, information applicants also can check RRC WR Recruitment Notification 2018-19, which is available on below section. Those participants have completed 15 years as on 09.01.2019 are eligible to apply online for WR Railway jobs. Applicants should not more than 24 years. Upper age relaxation for category wise is available as per govt. norms. Candidates should check Western Railway Recruitment 2018-19 maximum age relaxation, which is mention below. 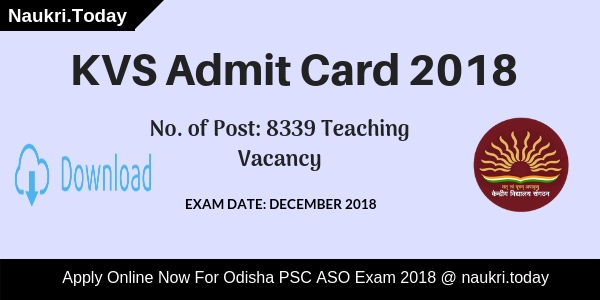 Those candidates belonging to General & OBC category have to pay Rs. 100/- only. No application fees for SC/ST/PWD/Women Applicants for Western Railway Recruitment 2018-19. Participants should pay their application fees using payment gateway method. Applicants selection will be made on the basis of marks obtained in 10th & ITI examination. There will be no written test and interview. Before apply for Western Railway Vacancy 2018-19, applicants must check eligibility conditions also. Applicants those are interested and fulfill eligibility criteria of RRC WR Vacancy 2018-19 may apply through online mode. Correspondingly, the online application form is available from 10.12.2018 to 09.01.2019. Before apply online for Western Railway Jobs contenders must have valid email id and mobile no. Applicants also keep scan copy of photograph & signature. Now follow some given below instructions to fill up RRC WR Recruitment online form. First of all candidates go to the official site rrc-wr.com. Download Western Railway Vacancy Notification. Read the full advertisement to check your eligibility conditions. Now go to apply online for Western Railway Recruitment 2018-19. Enter all required information like personal & educational. Make payment of application fees of WR Railway Vacancy 2018-19. Now recheck your full application form. Submit your RRC WR Apprentice Recruitment online form. Take the hard copy for future uses. Conclusion: Western Railway Recruitment 2018-19 for 3553 Apprentice vacancies. Applicants those want to apply and fulfill eligibility conditions may fill online application form. WR Railway Recruitment 2018-19 online application form available from 10th December 2018. The last date of submission Western Railway Apprentice Job online form is 09.01.2019. Are you seeking for Western Railway Recruitment 2018? If yes, There is a good news for you. Western Railway, Maharashtra has issued Re-Employment Notification for Retired Aspirants. There are 6898 Junior Engineer, stenographer and other Vacancies are available in Western Railway Jobs 2018. Candidates will be registered Online from 25 May 2018. Participants should check here eligibility criteria, age limit and Pay Scale for WR Railway Vacancy 2018. Participants should apply online up to 15 June 2018 after that online registrations will be closed. Western Railway, Maharashtra Department will select applicants on the basis of Walk-In-Interview. Candidates can apply from links given below. Participants may also download Western Railway Notification 2018 either from here or from the official website. For further more vacancy details candidates should check Official Western Railway Notification 2018. Applicants may download Western Railway Junior Engineer Notification 2018 from links given below. Applicants should check here education, age and Pay scale for Western Railway Recruitment 2018 before applying. Eligible candidates may apply online from links given below for RRC Western Railway JE Vacancy 2018. Participants can download Western Railway JE Notification 2018 from links given below. Only Retired staff can apply for same category 1 trade 1 grade from which they were retired. Applicants can apply for Upper Post from which they were retired but they are not allowed to apply for Lower Post. For further more details aspirants should read Official WR Railway JE Vacancy 2018 notification carefully. Participants must download Western Railway Jobs 2018 Official Notification either from here or from Official website. Western Railway, Maharashtra Department has set 65 years as the maximum age for Western Railway Recruitment 2018. this Re-Employment scheme is valid only up to 2019. For detailed information candidates should consult to Official WR Railway Vacancy 2018 notification. Here we provided you links to download Western Railway JE Recruitment 2018. Participants who are selected for RRC Western Railway Junior Engineer Jobs 2018 should be paid Rs. 9300 to Rs. 34800 with Grade pay of Rs. 4600. Applicants must prepare themselves for Western Railway JE Bharti 2018 Walk-In-Interview for Western Railway Recruitment 2018. Candidates should download Western Railway Notification 2018 from links given below. Aspirants should be selected on the basis of Walk-In-Interview. Participants must prepare themselves for questioning related to their field and about their working projects on which they worked before retirement. Furthermore, information is available in Western Railway JE Notification 2018 for RE-Employment. Participants who are interested in WR Railway Jobs 2018 must apply online from links given here. Candidates should reach on time for Western Railway Walk-In-Interview at given address. Participants must fill up their application form before the last date. Participants should read complete Western Railway Notification 2018. After that aspirants may check eligibility criteria, age limit and much more. Eligible candidates must fill up their Application Form before the last date. Candidates should submit their Application Form and note down ID Password. After submitting application form applicants should prepare themselves for Interview. Conclusion: Western Railway, Maharashtra has announced 6898 Junior Engineer, Stenographer, and Other Vacancy. Candidates should fill up their Application form before last date 15.96.2018 for Western Railway Recruitment 2018. Participants must check more details about Western Railway Vacancy 2018 in above article. Railway Recruitment Cell, Western Region has announced recruitment for 753 Junior Engineer, Station Master, Track Maintainers & Other Posts. Here is good opportunity for candidates who are searching job in railway department. Applicants can fill offline application form for Western Railway Recruitment 2018 . Application form of WR Railway Recruitment is available here or official site. Applicants should send their form for Western Railway Jobs before the last date 14.02.2018. Department of Western Railway is inviting application for 753 posts in Mumbai Division. Submission of application form is already started. Applicants who are interested to apply for Western Railway Recruitment 2018 should check all information. WR Railway Vacancy is available for retired railway employees. Applications are invites from 24.01.2018. You should send application form of Western Railway Vacancy before the last date. More details like eligibility criteria, selection process, application fees and others are given below. Interested applicants should check eligibility conditions before apply. If they are fulfill Western Railway JE Recruitment eligibility criteria then start filing application form. Railway Service Retired candidates are eligible for RRC WR Railway Recruitment. It also includes education qualification, age limit, experience and other details. Appliers should have Degree or Master Degree with Minimum required marks from recognized university or institute. Furthermore regarding Western Railway Vacancies applicants should check official notification. Applicants who are retired from railway department should not be exceed 63 years 10 months as on the last date of application. Relaxation in age is applicable as per Department Rules & regulation. More details should visit to WR Railway Recruitment Notification. For RRC WR Jobs – There is no application fees required to pay by candidates. All applicants are exempted for application fees. You should check official advertisement. Selected applicants should get a good salary depends on their experience and qualification. WR Railway JE Recruitment Notification is available here for further enquiry. Candidates will selected for WR Railway recruitment on the basis of Qualification & Other Factors. More information about Selection procedure must read the official RRC Mumbai Jobs Notification. Desired candidates, who are eligible also can download application form through the site mention below. Applicants should follow some given below steps to fill WR Railway Recruitment Form. First of all, download Western Railway Recruitment Application form. Download form from official site www.wr.indianrailways.gov.in. Go to News & Recruitment Segment. Click on Re-engagement of Retired employees. Click on notification and application form also available there. Fill Personal and working experience details. Paste photograph on the given place with signature across photograph. Also Sign on last segment of application. Applicants also download Western Railway Job Application Form direct through given below Link. Duly fill application form along with enclosures should send to given below address. Conclusion : RRC Western Railway Recruitment for 753 Junior Engineer, Station Master, Track Maintainers and other posts. Applicants should apply through offline mode from 24.01.2018. Interested and eligible candidates should send their WR Railway Job application form before on 14.02.2018. You should send the form on given above address. For more details should check Western Railway Job Notification. Dear Applicants, Are you searching Jobs In Indian Railways ??? then here is a good news for you. Western Railway Department has now released recruitment notification of 1306 apprentice Vacancy under Ahmedabad, Mumbai, Rajkot, Vadodara & Pratapnagar region. Candidates who are interested in Western Railway Recruitment 2017 –18 can fill application form here through offline mode. You can submit your Western Railway Jobs Application form ton or before the last date. Check region wise closing which is mention below. Western Railway is inviting application form for filling up 1307 Apprentice Vacancy in various region. Submission of Application form for WR Railway recruitment has been started. Applicants who are interested in Western Railway Vacancies can fill application form before check all required Details. All information related to WR Railway Apprentice Vacancy like education, Age & Other Details is mention below. Candidates who are going to fill form for Western Railway Mumbai region Vacancy or other region should check Post wise required Education & age Criteria From here. Our team is providing full details about Eligibility Criteria in below article. Applicants must have passed Matriculation (10th Class) from any recognized Board. Candidates must have competed ITI Course in relevant Trade for Western Railway Jobs 2017. Age of the applicants for Western Railway Recruitment 2017 – 18 must be in between 15 years to 24 years as on the date of Notification. Relaxation in age for Western Railway Apprentice Vacancy is applicable up to 05 years for SC/ST category & 03 years for OBC Category candidates. Candidates of SC/ST/PH/Women category are exempted from paying application fee, Other than this category, male candidates of General/OBC category must paid Rs. 100/- through postal order for Western Railway Apprentice Recruitment 2017. Selected candidates for Western Railway Fitter Vacancy & Other Jobs will paid a good salary as per Department Norms. Candidates you can check pay scale/ Stipend from official WR Railway Jobs Notification. Candidates there are no Written Exam & Oral Exam for Selection. Final Selection for western Railway Apprentice Vacancy will made on the basis of marks Obtain in Matric & ITI Course. More information related to Selection criteria of Western Railway Vacancy you can check from official Advertisement. Candidates who are eligible & interested in WR Railway Vacancy can fill application form for Trade Apprentice Vacancy from here. Read the below steps which is helpful for applying WR Mumbai Region Apprentice Application Form. First of all candidates visit to the official website www.wr.indianrailways.gov.in. Now Click on Recruitment Section & Click on Respective region Western Railway Jobs Notification. Now download WR Railway Jobs Application Form. Now Deposit application fee in respective Region. Now send the application form in respective region Postal Address before the last date. Note : Candidates can check Region wise WR Railway Recruitment Application form Postal Address from official notification. Check Respective region Notification, postal address related information will mention on it. Conclusion : – Western Railway Recruitment 2017 – 18 For 1306 Apprentice Jobs. Candidates can download your WR Railway Application Form & Send it before the closing date which is mention above Section. For more details read the article properly.